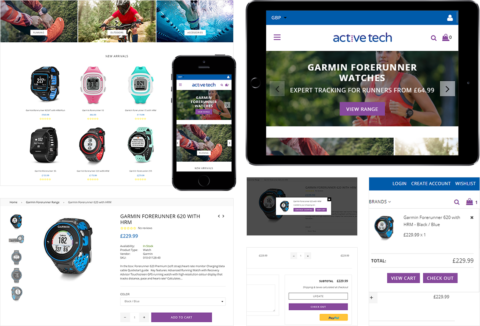 Andrew Sutton, the founder of ActiveTech, came to us wanting to set up an e-commerce site for his online business after running it successfully for a number of years on eBay. Coming up with a unique logo and a website which drives visitors to become buyers is something that we routinely do here, however, we needed to plan and research in order to give the ActiveTech brand a unique and established look, enabling them to build trust with people viewing the website. We developed a unique image which incorporated the elements of the fitness industry and went beyond them, creating a logo which helps position this modern brand. We also designed and developed an attractive website which allows users to easily find and locate particular products within a few simple clicks. We also noticed that mobile access was a key point so we had to refine the mobile experience and ensure it was seamless to maximise usability. We created multiple design iterations to ensure that navigation and usability is as natural and simplified as possible on all devices. The website achieved over 1,000 views on the first day of the launch and is on track to help the ActiveTech team surpass early sales targets. 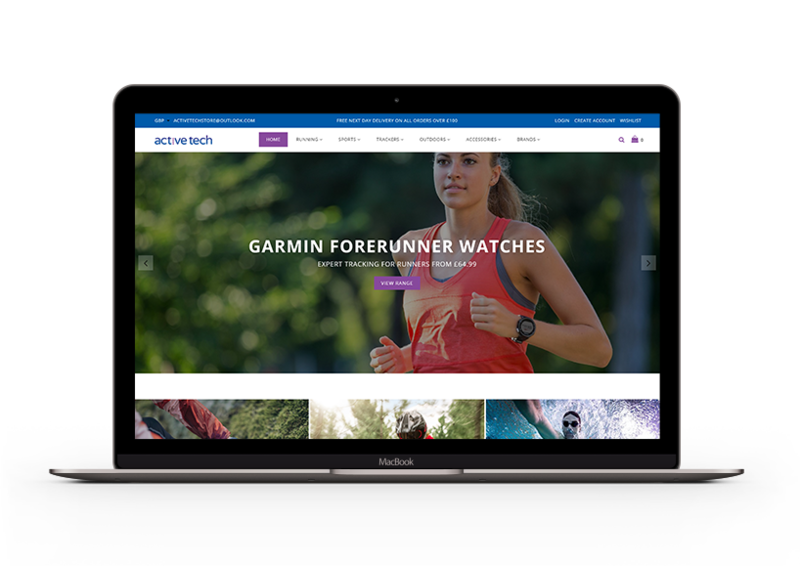 The blog has also been a central focus in order to drive traffic and is helping to build trust within the ActiveTech brand. I had been trading on eBay for a number of years and needed to set-up a standalone eCommerce website to further increase sales and have more control. Richard and his team created a fantastic looking logo and Shopify website for my company which really helps build the foundations for this next step. I`ve already recommended them to people.